Thank you for posting this! I woke up wondering about this conference and Voila! Physically I am unable to attend the conference. 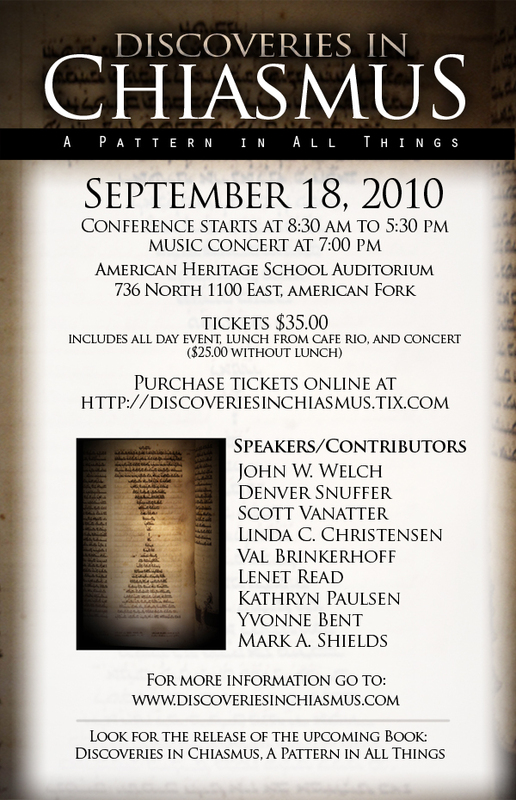 Will it be possible to purchase copies of the various speakers talks either at the conference or later? There will be a volume of the talks published by, I believe, by either Mill Creek Press or Cedar Fort Press. Not entirely sure which will publish it, but I do know all the talks will be published in a single volume. I’ll be out of town until that afternoon. Denver, do you know what time you’ll be speaking that day? I will be speaking first.